"Consistency was the last word one would have associated with Sabbatini earlier in his career, yet his Memorial record bucked the trend. He made the top-30 on seven of his last eight visits and was runner-up in 2012. Coming off good top-20s at Colonial and Sawgrass, everything is in place for a good run." At least so far as studying form is concerned, this week's two events are poles apart. Whereas there are bags of course form to pore over at Muirfield Village, longstanding host of the Memorial Tournament, the Italian Open venue hasn't been used on the European Tour for 12 years. With elite contenders at the head of both markets, it isn't obvious that an outsider will win either but there are, nevertheless, numerous attractive long odds bets in both. I've already put up one outside bet in our each-way column and Lorenzo Gagli would certainly have otherwise made this column. In the interests of variety, though, I'll instead add a player right on the edge of our [100.0] price limit following an early gamble from [130.0]. 'Beef' wouldn't usually be anywhere near this price in Europe and this looks a big over-reaction to one missed cut at Wentworth. Previously he'd finished 12th in Spain, Oman and runner-up in India. In the absence of recent course form, we should take Matteo Manassero's word about conditions. He offers the sort of advice for which golf punters yearn, describing the greens as 'tiny', predicting that 'players that are more accurate, not necessarily bombers' will contend and stresses the importance of par-five performance. It sounds perfect for Johnston, who ranks 13th among these for par-fives and also won at the course to which Matteo likens the greenside challenge - Valderrama. Zanotti played perfectly well when carrying our cash at odds of [310.0] last week, finishing 15th without ever getting close to shortening up to the lay target in an event dominated by the market leaders. The return to form following a month off was nevertheless encouraging, and this course set-up looks right up his street. Lack of power off the tee and putting - his two weakest areas - seem less significant than the average event. Besides par-five performance, for which Zanotti rates a middling 51st, I reckon the key stats to follow are driving accuracy, greens in regulation and scrambling. Over the past 12 months, the Paraguayan ranks 14th, 28th and 21st respectively in those disciplines. Not bad for a journeyman who contends a handful times every year and his last six events saw an outstanding 73% of fairways and 71% of greens hit. One more outsider to make the Italian shortlist was Mikko Korhonen, about whom similar comments apply. A consistent type if well short of top-class, solid from tee to green and arriving off 15th at Wentworth. The Finn was matched at a juicy [170.0] early doors but makes less appeal now at [110.0]. Historically, I'd never regarded the Memorial as a likely source of a big-priced winner. Muirfield Village is a classic 'second shot' course where the cream invariably rise to the top and Tiger Woods used to dominate. However that theory holds up less nowadays in the wake of a couple of huge recent upsets when David Lingmerth and William McGirt won at odds of [700.0]. The winners either side weren't market leaders either. Given that the places behind Lingmerth and McGirt also included Fowler, Thomas, Spieth and Rose, those winners are likely to be outliers but, on reflection, clues for both were possible. In his comprehensive tournament preview, Steve Rawlings shares Ben Coley's tweet that both outsiders met a golden rule for Memorial that has stood up since 2006, by finishing top-eight previously at Firestone. Another partial explanation is the importance of high-class scrambling as both are good in that department. Of 29 players to reach the top-five in the last five renewals, 25 were ranked in the top-30 for scrambling, 13 of whom ranked in the top-ten. Here's a 239-1 chance that meets the criteria comfortably, as a twice former runner-up at Firestone. 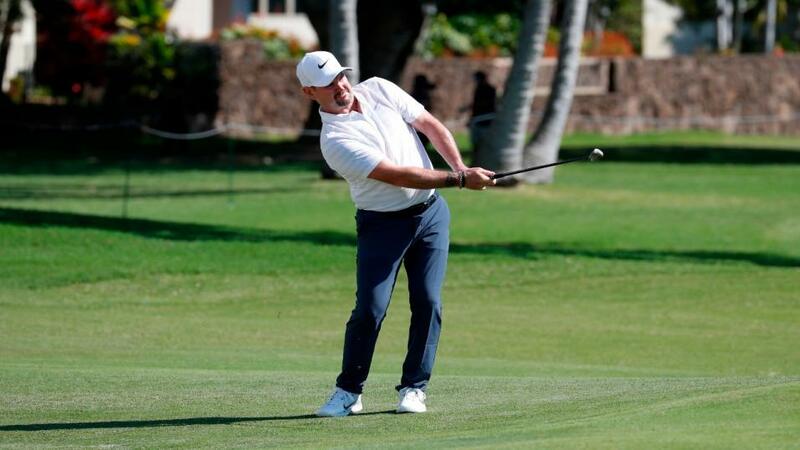 Sabbatini has done us a favour twice in recent months and remains on an impressively consistent run, finishing top-30 on all of his last six solo starts and making every solo cut in 2018. His strongest areas - 13th for scrambling and fourth for par-four performance over the last three months - are key indicators for Muirfield Village. Consistency was the last word one would have associated with Sabbatini earlier in his career, yet his Memorial record bucked the trend. He made the top-30 on seven of his last eight visits and was runner-up in 2012. Coming off good top-20s at Colonial and Sawgrass, everything is in place for a good run. A number of alternative likeable types in the mid-hundreds made the Memorial shortlist. Adam Hadwin and Jamie Lovemark have both shown much promise here and are good scramblers. Kyle Stanley has twice finished top-six here. At [250.0] reliable Memorial performer Bill Haas is eye-catching after an excellent weekend. Finally, note that Cameron Smith has drifted right out in the betting again. After the Masters, I doubted we'd see triple-figures again for some time but here is at [230.0], on a course where his stellar short game skills should be a big plus. Granted, his last four rounds of 74/79/75/76 are a huge concern but the Aussie remains a huge prospect.